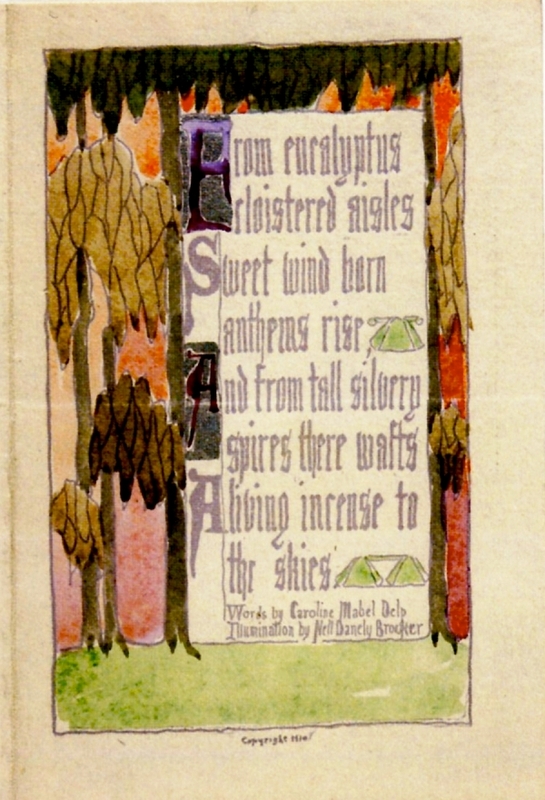 John Muir, Eucalyptus, and Happy New Year! On January 2, 1911, John Muir – founder of the Sierra Club and the man who saved Yosemite – sent out this greeting card. It has a painting of a eucalyptus tree, and a poem about the tree: “From eucalyptus cloistered aisles Sweet wind born anthems rise And from tall silvery spires there wafts A living incense to the skies.” Over a hundred years later, we’d like to celebrate the tree’s grace and beauty as we wish you all a Happy New Year in 2014. This post is republished with permission and some changes from Death of a Million Trees. 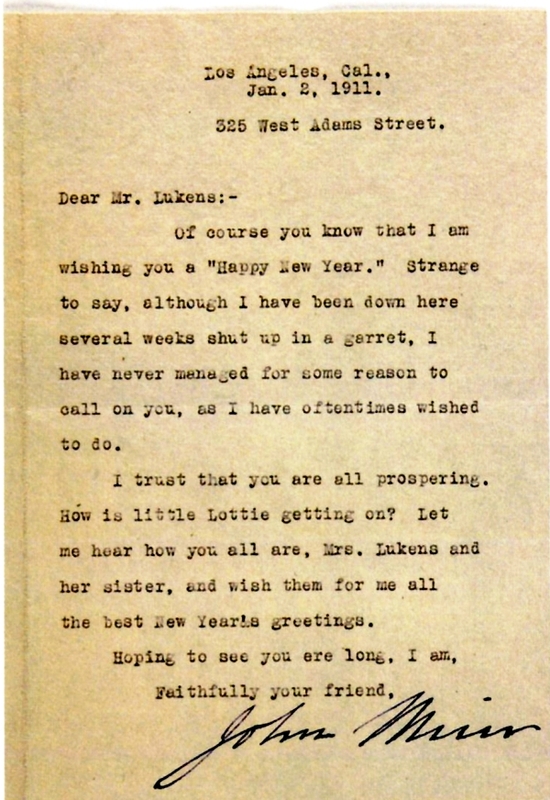 This 1911 New Year’s greeting from John Muir is a reflection of his fondness for eucalyptus. He planted eucalypts around his home in Martinez, California. Muir’s daughter reported that her father bought about a dozen different varieties of eucalyptus from a neighbor and she helped to plant them on the property. The property was planted with many non-native plants and trees, including palms that now tower over the property. Muir’s home was built by his wife’s parents in 1882. Muir and his wife moved into the home in 1890 after his wife’s father died. Muir lived in that home for the last 24 years of his life. 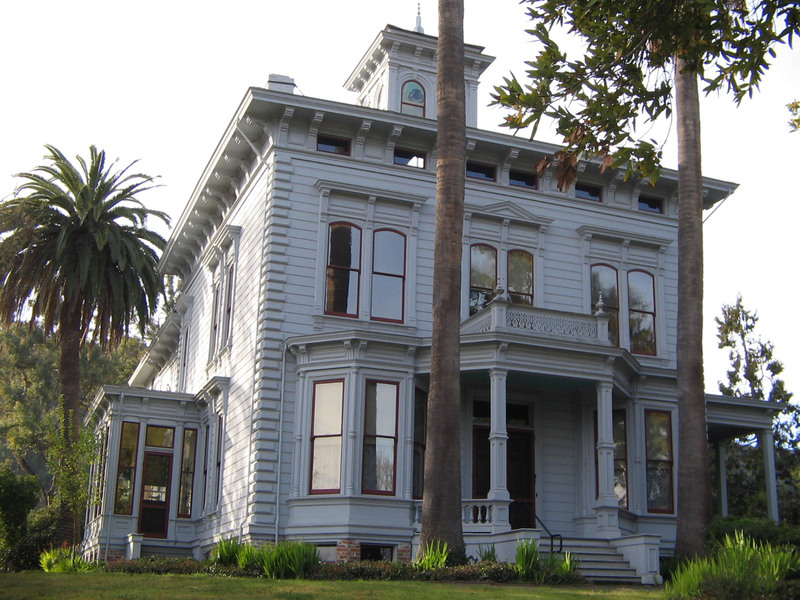 It is now The John Muir National Historic Site. The site is administered by the National Park Service which unfortunately actively engages in ecological “restorations” that destroy non-native species. In the San Francisco Bay Area, eucalypts are one of their highest priority targets for destruction. According to the Martinez News Gazette, the Park Service destroyed the eucalypts on Muir’s property in about 1991 and replaced them with redwoods. Twenty years later, they destroyed the redwoods because they decided they weren’t historically accurate. The Park Service has a contradictory mission of ecological “restoration” to a native landscape which is inconsistent with its mission of maintaining the historical integrity of the properties it manages. John Muir was co-founder of the Sierra Club. He is also given credit for convincing President Teddy Roosevelt to protect Yosemite, Sequoia, Grand Canyon and Mt. Rainier as National Parks. Wouldn’t Muir be appalled by the current policies of the Sierra Club and the National Park Service which advocate for the destruction of eucalyptus in our public lands? We wish our readers a Merry Christmas and a Happy New Year. We are hopeful that the New Year will bring more success to our mission to save healthy trees from destruction which will also reduce the needless use of pesticides in our public open spaces. (1) Published in Images of the Pacific Rim by Erika Esau, Power Publishing, February 2011. (2) Jared Farmer, Trees in Paradise: A California History, Norton & Company, 2013. This entry was posted in Environment, eucalyptus, nativism and tagged environment, eucalyptus myths. Bookmark the permalink.